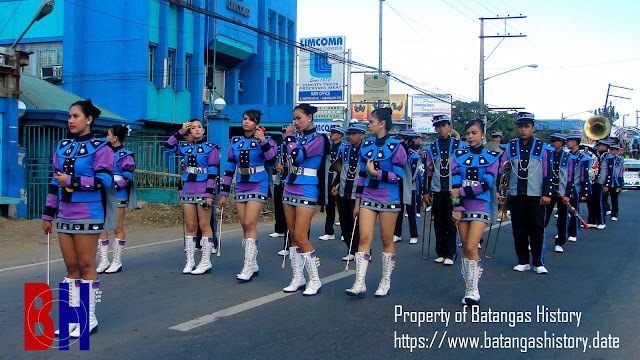 A marching band during a fiesta in Batangas. This post contains city and town fiestas around the Province of Batangas. Fiestas are actually religious events celebrating the feast of a Patron Saint. In the Philippine context, particularly in the Province of Batangas, these celebrations involve lavish fetes being laid out by individual households to honour the town or city patron. Food and drinks are as per tradition are served to invited and uninvited guests alike. Although the supposed centerpiece event of a fiesta is a religious parade during which the statue of the Patron Saint is toured around the city or municipality, the town fiesta is also an even for holding other activities such as dances, exhibitions, street dancing and beauty pageants. This listing is only of poblacion town or city fiestas only. Because fiestas are organized as celebrations of the feasts of community or parish patron saints, it goes without saying that there will be more than one fiesta in some cities and municipalities. The dates contained in this post are solicited from various sources and may not necessarily be accurate. Anyone from the cities and towns listed below would like to suggest corrections may do so using the comments box at the bottom.